Arnold Schwarzenegger called Lionel Messi ‘the football terminator’. Hollywood legend Arnold Schwarzenegger has paid perhaps the ultimate tribute to football star Lionel Messi, calling the Argentinean forward ‘the football terminator’. 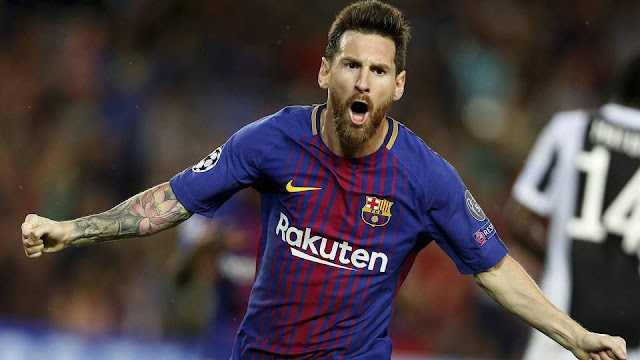 Lionel Messi has been in a red-hot form recently, scoring as many as four goals in Barcelona’s win by 6-1 over Eibar in his last La Liga encounter. “Yes, exactly. Messi is the football Terminator, we can say that,” Schwarzenegger was quoted as saying by Mundo Deportivo. The use of the term was not surprising as it has come at a time when Schwarzenegger has been busy promoting his upcoming movie, ‘Terminator 6’, reported goal.com. Schwarzenegger said he played football in his youth, and now that he is busy with a plenty of other things, after spending time as the governor of California. Schwarzenegger said he has been following football, and also La Liga. Schwarzenegger recalled his visit to Camp Nou last year, and said he cherishes watching some of the best players in action. He visited the Spanish football club as its guest. “Yes, last year I visited and watched them train. It was fantastic,” Schwarzenegger said. “When you grow up with football you always have it in mind. The European teams in general are very good and Barcelona is one of them obviously. The Madrid sides too. Many of these players are among the best athletes, with tremendous stamina and speed,” he added.